The hosting of major sporting events can be a key tool in the development of cities and countries around the world. If carried out effectively these events can not only bring prestige to an area but can leave the local population with a legacy of improved infrastructure and facilities. Managing Major Sports Events: Theory and Practice is a complete introduction to the principles and practical skills that underpin the running and hosting of major sports events, from initial bid to post-event legacy. 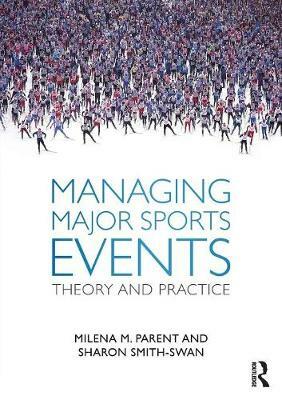 Each chapter contains a unique combination of theory, practical decision-making exercises and case studies of major sports events from around the world, helping students and practitioners alike to understand and prepare for the reality of executing major events on an international scale. A companion website includes self-test quizzes and flashcards for students, links to 110 useful websites, 173 summary slides, plus 45 essay questions and extended decision-making exercises for lecturers. Managing Major Sports Events: Theory and Practice is an essential textbook for any course on sports event management or international sports management and an invaluable resource for all sport management researchers and professionals.